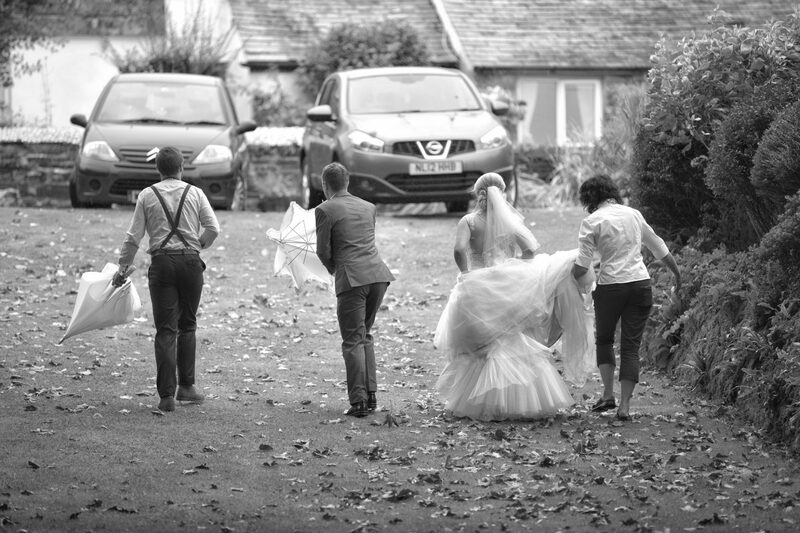 The bridal couple and their guests arrived Friday at the start of their weekend wedding and enjoyed a fun evening in the courtyard area with family and friends. 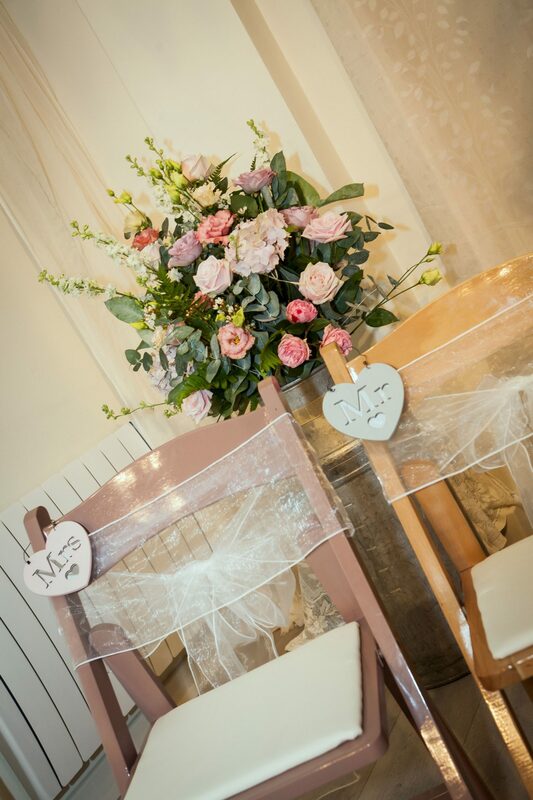 Saturday was going to be a wet one but we were determined not to let the rain spoil the party.The courtyard room was beautifully decorated with metres of pretty dusky pink bunting, made by Mandy (Zoe’s step mum). 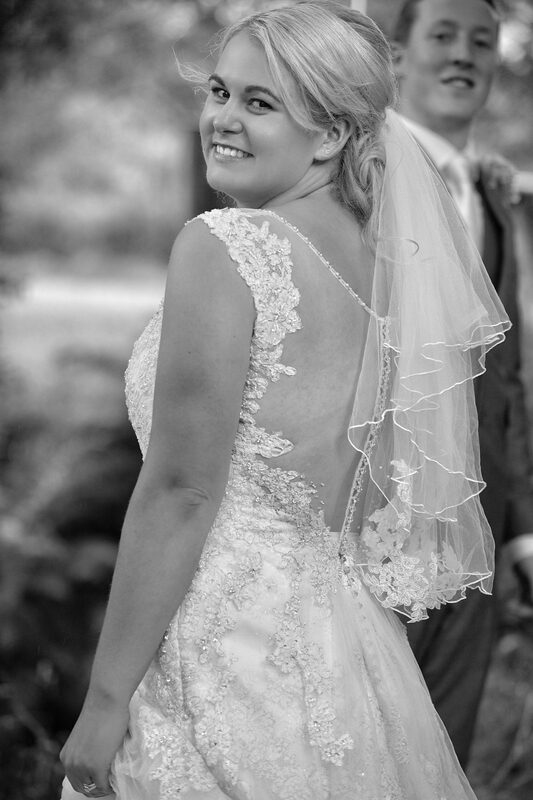 The brides gown was intricately detailed and the look was completed with a delicate veil. 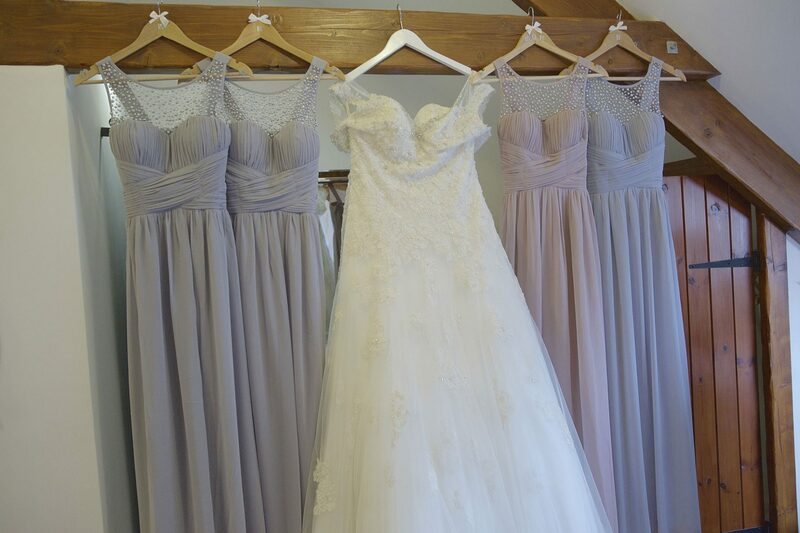 The bridesmaids wore gowns of pastel lilac and pastel pink, with beaded detail to the top and looked fabulous. 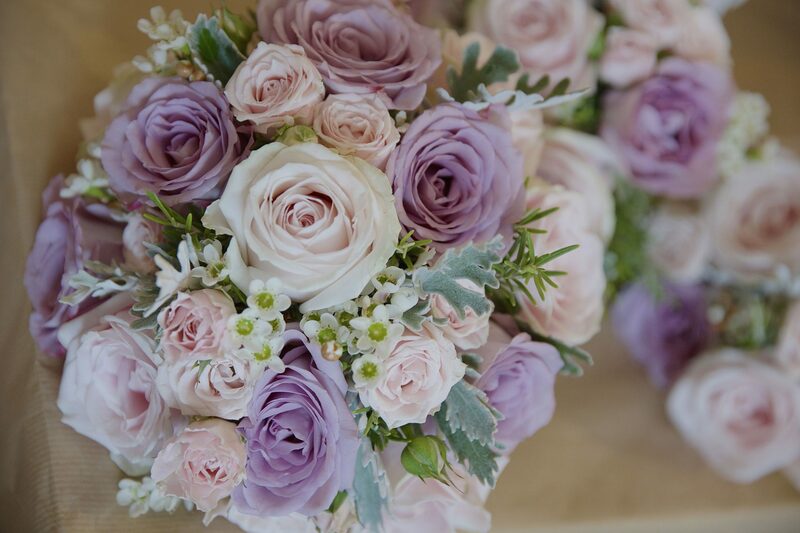 Beautiful flowers were provided by The Flower Shack in Plymouth who created bouquets, an arrangement on the arch, table pieces and buttonholes. 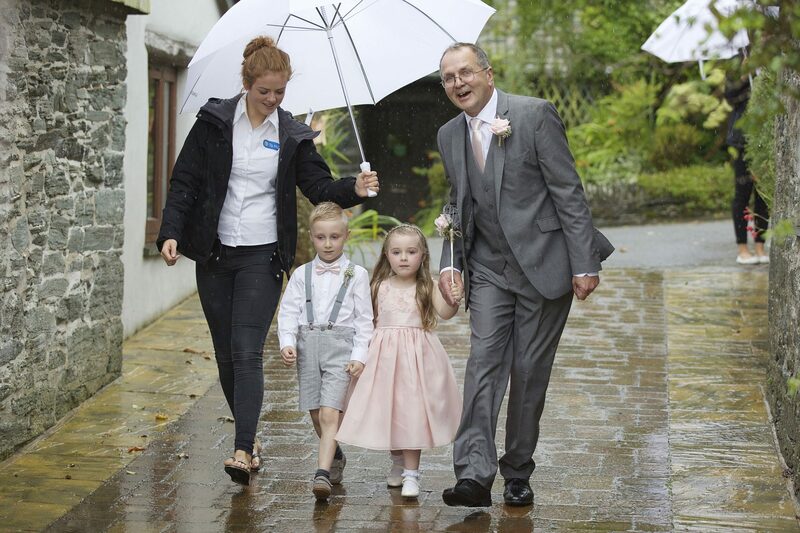 Guests were escorted under umbrellas to the courtyard room by Ta Mill staff whilst they awaited Zoe’s arrival. 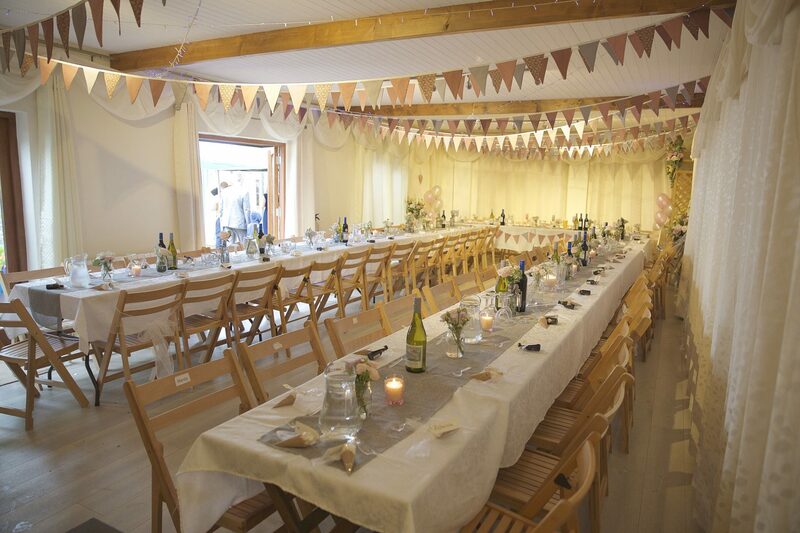 After a lovely and emotional ceremony, the bride and groom emerged with their family and friends to enjoy celebration drinks in the marquee and canapés (by Big Pan Parties). Paul from Clash and Clash Photographic Agency took some great group photos in the courtyard room (it was a little too wet to go outside!) 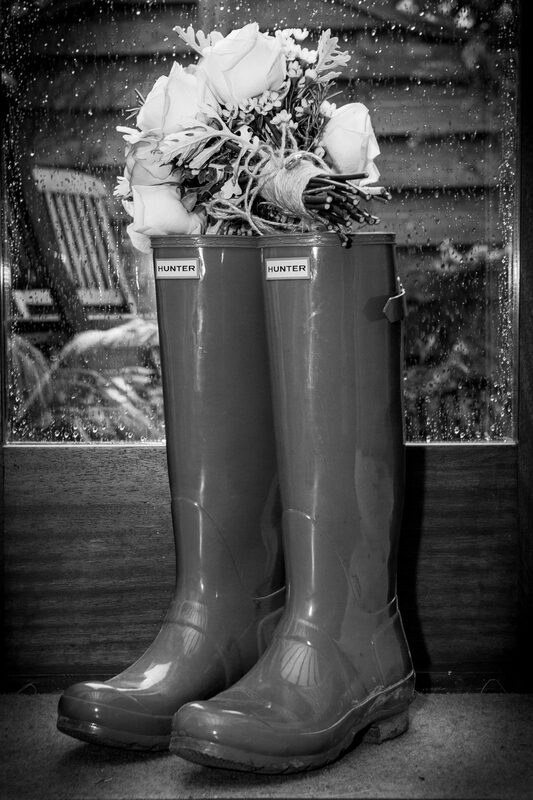 but not to be outdone by the weather, Zoe and Callum donned welly boots and both Paul and Emma from EJL Photography captured some lovely photos from around the grounds at Ta Mill. Speeches from Stuart (brides dad) Sue (brides mum) Callum (groom) Wilk and Jack (best men). Big Pan Parties served Paella and pasta buffet style in the courtyard and everyone took their places at trestle tables set up in the courtyard room- this went down very well! The DJ started 6.30pm with evening guests arriving at 7pm. Special requests were made by the bride and groom for Reggae music and they were not disappointed as Mike from Ocean City DJ’s played exactly what they wanted! The evening guests arrived by coach courtesy of Tally Ho! from Plymouth. A fabulous locally sourced cake of cheese was cut at 8pm followed by the first dance. Hungry Hog did an amazing hog roast for the evening food. After a great party, guests retired to their accommodation or headed home on the coach. 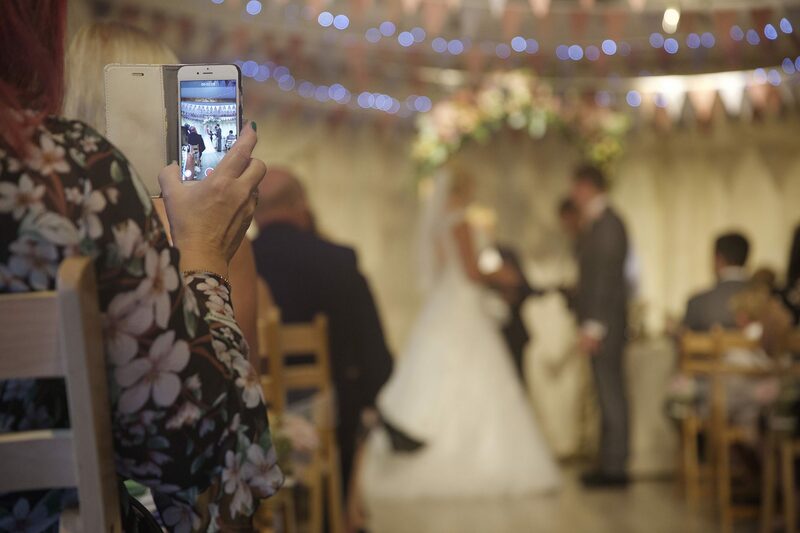 “We are so grateful to you for everything you did for our wedding and for the photos you have given to us. Ta Mill will always hold a special place in our hearts and we will definitely be back again…hopefully in the not too distant future!